Can you imagine keeping your data without any kind of protection around it? Of Course not, especially when there is all kinds of attacks that it is prone to. 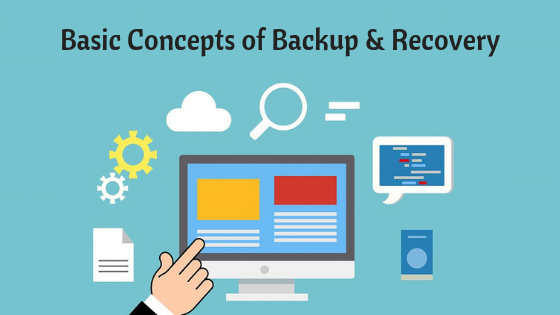 Backup and restore is very important for all kinds of data and more importantly in MLM where there are large networks and important details regarding the compensations, bonuses, sales volume and inventory. Get MLM Software integrated with data protection features. 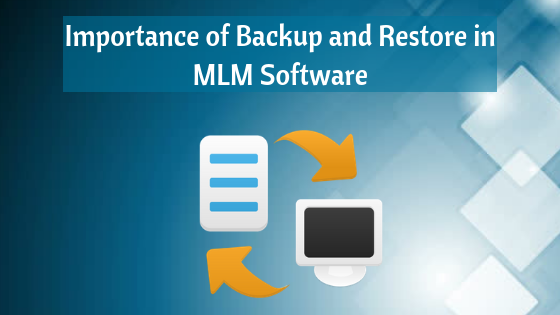 In this blog, we shall discuss the role of backup and restore in MLM software. The primary purpose of the backup is to create a copy of data that can be recovered in any event of a primary data failure. The primary data failures can be a result of any kind of hardware or software failure, the corruption of data, or a human-caused event, such as a malicious attack from a virus or a malware ,or an accidental deletion of data by the operator by mistake. Backup copies will allow you to restore the data from an earlier point of time. This helps the business to recover themselves from any kind unplanned event or mishappenings. Storing the copy of the important data on separate medium apart from the computer is critical to protect it against primary data loss or corruption. This additional and separate medium can be as simple as an external drive or USB stick. It can even be something more substantial, such as a disk storage system, cloud storage container, or tape drive. This alternate medium can be either in the same location as that of the primary data or at a remote location. However, it is appreciated to store copies of data at remote locations due to the possibility of weather related events. For the supreme benefits, we have to make backup copies on a consistent and regular basis so that amount data lost between backups is minimised to almost zero. There are more possibilities of data losses if there is more time lapse between backup. We should retain multiple copies of data so that in the event of data corruption or malicious attacks, we have the insurance and flexibility to restore to a previous and unaffected point in time. Generally, we adopt two general approaches to backup and recovery universally. Streaming backup is a traditional approach to backup and recovery system. In this method, we stream or read data from the application server or host through a backup server to a secondary medium or storage system. The backup server or media server then ingests this data and performs additional actions so as to optimize the data before writing it to the secondary medium. Indexing the data so that we can easily search and restore the data. Data reduction by compression, deduplication, etc. Streaming recovery uses application integration so as to improve the state of the data when it is being restored. Just like any other method,Traditional backup and recovery has certain drawbacks. Streaming backup puts a huge burden on the application server. The server must allocate CPU and memory to read and stream data from local or remote storage in order to process backup jobs. In case of traditional streaming, data to be restored must always come from secondary storage. This will lead to longer recovery times. Enterprise backup software is very expensive, especially as the data grows in age. In most of the cases, the cost of backup software is higher than that of the underlying storage infrastructure. Array-based backup and recovery is developed on storage snapshots and it offers an alternative approach to protecting data. High-performance snapshots on primary storage create local recovery points. These have low impact to the production workload and enables higher service levels with shorter backup windows. Ill will generate more frequent recovery points. Array based backup and recovery will retain data efficiencies from primary storage to secondary storage. When data is transferred to secondary storage, it is not in a proprietary format. This makes it easier and faster to use it for other purposes like instant DR failover and test/dev workflows. Unfortunately, many computer users of today have learned about importance and necessity of backup software in the the hard way. We cannot reply too much on Hard drives of a PC and most often , we come across people who has been the victim of a hard drive crash. When this incident occur, the data can be recovered by experts at times. But the whole process can cost hundreds of dollars. More often than not,, the computer user simply loses his or her important personal files and photos and other data. This situation has only worsened with the introduction of laptops into our lives. These laptops have reduced space and this restricts airflow and leads to problems with the internal cooling systems. In spite of a good ventilation in PCs, hard drives are expected to fail within 5 years due to age related problems. When the hard drives are installed in a laptop, the increased heat will lead to its failure even sooner. Reports say that some laptop users experience hard drive failures just within 3 years. In spite of all these statistics, many users continue to take risks and either do a minimal, insufficient backup, or maintain no backup system at all. We will give you some reasons why a sound backup system is important, and considerations necessary for designing a good backup system. We design a backup system either for creating a complete copy of a hard drive or by backing up specific individual files or folders.This usually includes files that contain key information. In the case of data corruption, or unfortunate events of complete data failure, users can make use of the backed up information and perform a complete recovery and restore the system to its pre-failure condition. One of the most important feature of back software in MLM is its ability to compress data so that the amount of storage space required for a backup is minimum. This allows the system to be backed up at several key intervals if at all it is necessary. The data compression also includes an encryption algorithm to protect sensitive data from theft. A good backup software will also allow a backup to another physical target, including a second hard drive, and external flash drive, or a separate wireless storage drive. Certain software will allow a remote backup to a second site, to provide the highest data protection for critical data. What Does Infinite MLM Offer in Terms of Backup and Recovery? Infinite MLM offers a portfolio of data protection solutions to help our customers protect their most critical data, on premises or in the cloud. Our software includes integrated data protection features to support high speed, efficient backup and recovery, disaster recovery, and business continuity across clouds. Our software also provides flexibility and versatility for diverse IT environments. If you are looking for an MLM software with exquisite data protection features, contact us now.